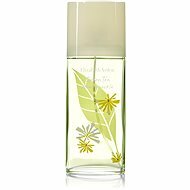 Elizabeth Arden Green Tea Yuzu Eau De Toilette Spray is a wonderful fragrance for women that was launched in 2014. This simple flagon with citrus motifs suggests that this scent is fresh, light and suited for a summer of fragrant pleasures. This uplifting scent will give you new energy and awaken your senses. This juicy summer scent with a touch of green tea is a great addition to hot summer days and long nights. It will also serve you well in the winter, as a hot reminder of a fabulous summer. The refreshing tones of Yuzu and green tea will fascinate you with its unique blending. The breath of cool mint, currant and thyme gives you a fresh feeling of cleanliness. The basis of the fragrance is spicy musk, birch and Ambrette. The unique cocktail of fragrance contains ingredients that blend together perfectly to create a sense of well-being. Cover yourself in the mist of summer scents! Bergamot , Citron, Currant, Mint, Green tea Done! 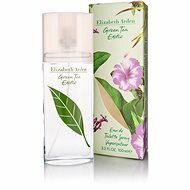 For shipping to other EU countries visit this page ELIZABETH ARDEN Green Tea Yuzu EdT 50ml. Für Versand nach Deutschland, besuchen Sie bitte ELIZABETH ARDEN Green Tea Yuzu EdT 50 ml. Chcete doručit zboží do Česka? 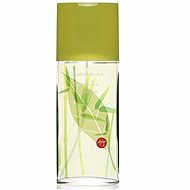 Prohlédněte si ELIZABETH ARDEN Green Tea Yuzu EdT 50 ml. Chcete doručiť tovar na Slovensko? Prezrite si ELIZABETH ARDEN Green Tea Yuzu EdT 50 ml. Für Versand nach Österreich, besuchen Sie bitte ELIZABETH ARDEN Green Tea Yuzu EdT 50 ml. Magyarországra történő kiszállításért tekintse meg ezt a termékoldalt: ELIZABETH ARDEN Green Tea Yuzu EdT 50 ml.